Consequently, I believe that Mary’s Annunciation is an affirmation of God-given personal choice both women and men are given over own their own bodies and faculties. The apocryphal and biblical texts mutually demonstrate a miraculous God that can clearly work outside of natural restrictions. However, when God sends an angelic messenger to the Virgin, she is given the opportunity to reflect and decide on her own accord. It is only after Our Lady gives her consent and cooperation that God can, with the person of Mary, bring forth God’s son into the world. Likewise, each of us is given the opportunity to advance in our spiritual relationship by saying, “yes,” to that which seems impossible because of nature or, much more likely, due to religious regulations and pre-conceived notions of how God might work in our lives. While Our Lady would have been well versed in miraculous births, such as Isaac’s and her own, she had no religious story stemming from her own faith system to assertively defend why God would choose to conceive within her a child apart from an earthly father. Hence, Mary’s permission granted to God is not only an affirmation of personal choice, but also an affirmation to progress forward in ways that may not always be clear dogmatically, yet are anchored in the greatest command to “love one another (Jn. 13:34).” The Virgin invites us to join in her positive response to God no matter how incredible our journey appears. Some might assert that Mary’s virginity, a perpetual virginity according to Orthodox and Catholic tradition, eradicates her personal choice in some fashion. However, Mary’s virginity speaks directly to her progressive nature and personal freedom extended to her, by God, through life’s circumstances. According to the Catechism #503: “Mary’s virginity manifests God’s absolute initiative in the Incarnation.” While this clearly speaks to God’s paternity of Jesus, I contend it also speaks to the authority of Mary’s virginity. Her virginity enforces not only God’s initiative, but also reaffirms Mary’s authoritative choice, and her whole-hearted initiative in this work, when she responds positively to Gabriel. Hence, Our Lady’s virginity significantly removes her from the same level of patriarchal control than if she had conceived Christ in a natural fashion. Put simply, perpetual virginity allows for Mary to continue to affirm her right over her own body and faculties, which is seemingly radical given her context. Mary is a virgin because her virginity is the sign of her faith, ‘unadulterated by any doubt,’ and of her undivided gift of herself to God’s will. It is her faith that enables her to become the mother of the Savior: Mary is more blessed because she embraces faith in Christ than because she conceives the flesh of Christ. Sexuality and sexual relations have tended to be an obsession of the Church, at various times in history including the present. At its core, the Church teaches that Mary’s virginity, in regards to the Incarnation, is most clearly a “sign of her faith.” Therefore, God’s primary reason for choosing Mary is not due to her virginity, or sexuality, but due to her abundant faith. A modern Catholic should keep this catechetical truth in mind as they seek to pursue Mary as an icon of progressive advancement. Many individuals who desire to progress on their faith journey find themselves obsessing over issues of sexuality, marriages, or failed relationships. Tragically, Our Lady, and her life, has sometimes been used as a means, by the Church, to control, or dictate, a Catholic’s sexuality and its praxis. Thankfully, if we look simply at Mary’s story and decisions, we discover that her faith is paramount and her virginity is purely a tangible sign of said faithfulness, only one sign of many. Our Lady’s physical ever-virginity helps to establish the sincerity of spiritual faith she successfully enacted in her choices and early life. Modern Catholics may continue to ardently affirm Mary’s perpetual virginity while not accepting that their sexuality must be decidedly controlled by religious hierarchs or narrow-minded religious regulation. Like Our Lady, our sexuality, and its holistic praxis, should be a sign of our faithfulness to God and others. Rather than obsessing over celibacy and personal sexuality, we should progress in the ways of God and be reminded faith is what ultimately pleases God (Heb. 11:6). Per the spirit of the Catechism, may we find ourselves “more blessed” because of our faith in Christ and readiness to give of ourselves to God and others, than because of unhealthy anxious concerns over one’s sexuality. Amen. The Reverend Father Daniel Storrs is a Catholic priest ordained on the Holy Island of Lindisfarne, United Kingdom, in the Old Catholic Church. 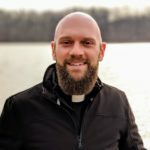 He has been active in Christian ministry for over 17 years, traversing Charismatic Evangelical, Eastern Orthodox, and Catholic traditions. His priesthood is dedicated to the Virgin Mary and seeks to offer the love of Jesus and Mary to those most forgotten by society and the Church. 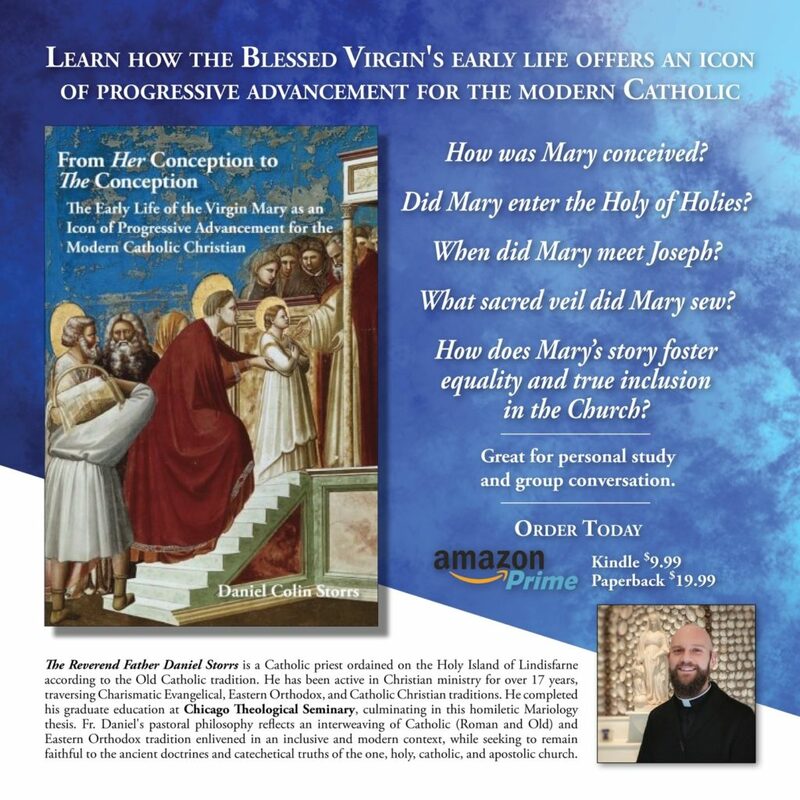 He completed his graduate education at Chicago Theological Seminary, culminating in a homiletic thesis offering the Virgin Mary as a progressive icon of advancement to the modern Catholic. Fr. Daniel’s religious and doctrinal philosophies tend to reflect an interweaving of Catholic (Roman and Old), and Eastern Orthodox tradition enlivened in an inclusive context, while seeking to remain faithful to the ancient creedal doctrines and catechetical truths of the one, holy, catholic, and apostolic church. Where is your event horizon?